Mitsubishi Motors Philippines Corporation (MMPC) celebrates the recent signing of Executive Order #182 entitled "Providing for a Comprehensive Automotive Resurgence Strategy Program" (CARS) by His Excellency President Benigno Aquino III. This new automobile manufacturing policy is aimed at strengthening the Philippine automobile industry, therefore providing a boost to the Philippine economy. CARS will facilitate this by making it easier for automobile manufacturers to further expand their local operations. By making expanding operations more cost-effective, CARS should not only help automobile makers increase local manufacturing operations but also boost supporting businesses such as local parts makers. MMPC President and CEO Yoshiaki Kato praised the move: "With CARS, MMPC is looking forward to further contributing to the Philippine automobile industry and economy. As the Philippines is one of our core markets in the ASEAN region, we're happy that the government has decided to make a strong 'win-win' declaration for everyone." MMPC has contributed to the Philippines for more than 50 years through local operations expansion including manufacturing. 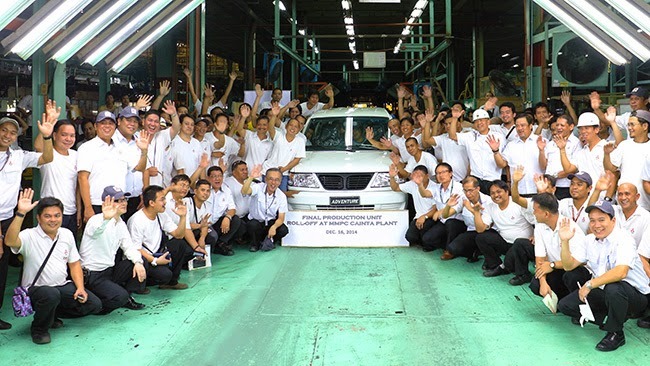 Recently, MMPC transferred its vehicle assembly operations from Cainta, Rizal to a bigger facility in Sta. Rosa Laguna to further increase production capacity. In order to expand its manufacturing operations and determine the new model to be assembled locally, MMPC and its principal Mitsubishi Motors Corporation of Japan will study the contents of CARS.